A Yantra is neither magic nor a technique to invoke magic. Rather, in technical terms, a Yantra means an instrument, apparatus, talisman or mystical diagram that encapsulates energetic vibrations. In some Vedic translations, a Yantra is described as a “machine.” Great yogis and ancient writings praised the power of Yantras as effective and convenient tools on the path of self-realisation. We express ourselves through the use of symbols and machines all the time. Writing and language are symbolic of our intentions, and in order to express these intentions, we often use some apparatus or machine. Yantras also include signs, mantras, and tantra. Different Yantras are connected with different deities or angels as well as a specific mantra. The five gross elements of nature, earth, water, fire, air and ether are also connected to Yantras, and by performing specific rituals utilising the appropriate Yantras, it is said that one can control nature. While anyone could feasibly draw a Yantra, it will not yield the desired effect unless it is produced with the proper intention and energised with the perfect mantra. Ideally, a Yantra should be prepared by a qualified yogi or astrologer, who will prescribe Yantras to people to help ward off the evil influence of planets, spirits or enemies. 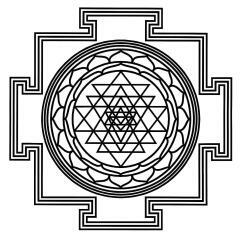 Traditionally, a Yantra was drawn onto a bronze, copper, lead, silver, stainless steel, or gold plate. However, with the advancement of printing technology, a Yantra could feasibly be printed on a variety of surfaces, depending on the time, place, and circumstance. The medium must first be sanctified by mantra so that the effectiveness of the Yantra is increased. Therefore, the Yantra’s potency is very much dependent upon the purity and sincerity of the person who creates and then energises it. I spent 14 years of my life as a celibate monk cultivating a purely focused intention and have studied and practiced teachings of the most revered spiritual texts in India for nearly 30 years. 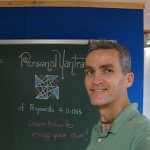 A Soul Yantra is a unique contribution to the ancient sigil (talisman) traditions and a new genre of modern art. Like the traditional Yantras and Talismans, a Soul Yantra is also based on the sciences of numerology, magic squares, geometry, geomancy and astrology. However, in this case, the encoded data is not a call to some Archangel but is representative of you and your life purpose. 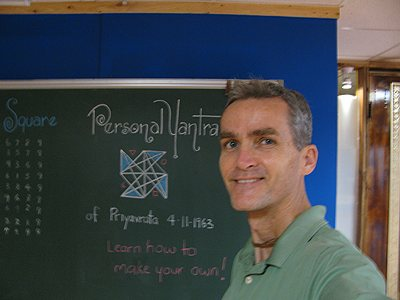 By using a person’s name and time of birth and colouring the resulting geometry according to their astrological influences, the Soul Yantra becomes completely unique. 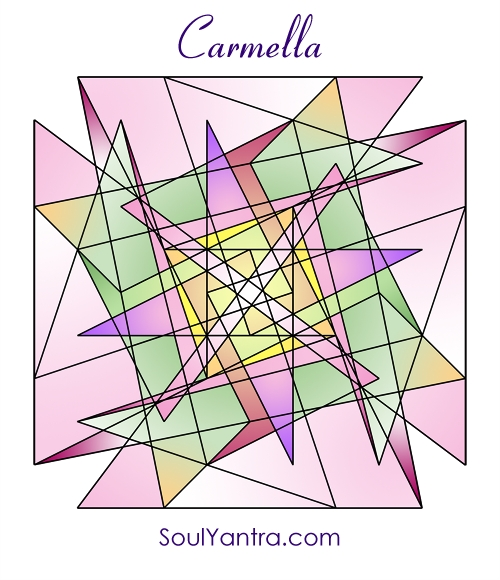 In the same way that numerology can encode a person’s character and aptitudes in numbers, the Soul Yantra does so through geometry. 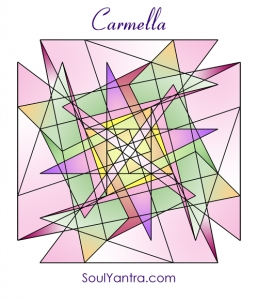 Your Soul Yantra literally captures your essence in a harmonic geometric pattern—it is essentially your inner spirit captured in art. Over the last 30 years, Paul has traveled and lectured in 65 countries. He is a numerologist, yogi and holistic life coach.